Upper Montclair median real estate price is $662,146, which is more expensive than 95.8% of the neighborhoods in New Jersey and 94.7% of the neighborhoods in the U.S. The average rental price in Upper Montclair is currently $2,791, based on NeighborhoodScout's exclusive analysis. The average rental cost in this neighborhood is higher than 99.4% of the neighborhoods in New Jersey. Upper Montclair is a suburban neighborhood (based on population density) located in Montclair, New Jersey. Upper Montclair real estate is primarily made up of medium sized (three or four bedroom) to large (four, five or more bedroom) single-family homes and small apartment buildings. Most of the residential real estate is owner occupied. Many of the residences in the Upper Montclair neighborhood are relatively historic, built no later than 1939, and in some cases, quite a bit earlier. A number of residences were also built between 1940 and 1969. In Upper Montclair, the current vacancy rate is 2.0%, which is a lower rate of vacancies than 92.6% of all neighborhoods in the U.S. This means that the housing supply in Upper Montclair is very tight compared to the demand for property here. NOTABLE & UNIQUE NEIGHBORHOOD CHARACTERISTICS The way a neighborhood looks and feels when you walk or drive around it, from its setting, its buildings, and its flavor, can make all the difference. This neighborhood has some really cool things about the way it looks and feels as revealed by NeighborhoodScout's exclusive research. This might include anything from the housing stock to the types of households living here to how people get around. If you're a regular supporter of the arts and enjoy outings to the theatre, weekend boutique-ing, or even a finely aged wine with dinner, than you're in good company with the people of the Upper Montclair neighborhood. This neighborhood is uniquely immersed with more "urban sophisticates" than 99.9% of neighborhoods across the country. The people here truly stand out as a class among their own. They are an exclusive community characterized by refined tastes, cultural inclinations, and the means to live well. Urban sophisticates live a big city lifestyle, whether or not they live in or near a big city. They are educated executives or managers by week, and serial patrons of the arts by weekend. If this lifestyle pertains to you, than you'll certainly feel right at home in the Upper Montclair neighborhood. In addition to being an excellent choice for urban sophisticates, this neighborhood is also a very good choice for highly educated executives and families with school-aged children. In addition, if you come to know the people here, you will recognize that you're in the company of one of the wealthiest communities in the nation. In fact, a mere 0.1% of America's neighborhoods are wealthier than the Upper Montclair neighborhood. Real estate here is exceedingly well-maintained, and similarly, tends to maintain its value over time. The cars driven are mostly luxury brands like Mercedes, Audi, BMW, and Lexus. If the public schools aren't up to snuff, the residents of this neighborhood preferentially send their children to private preparatory schools. Vacation to Disney? Yes, but equally popular are summers in Europe. As one would expect in a considerably wealthy neighborhood such as this, Upper Montclair also has one of the lowest ratings of child poverty in the nation. Also, the rate of college educated adults in the Upper Montclair neighborhood is a unique characteristic of the neighborhood. 86.0% of adults here have received at least a 4-year bachelor's degree, compared to the average neighborhood in America, which has 22.6% of the adults with a bachelor's degree. The rate here is higher than NeighborhoodScout found in 99.7% of all U.S. neighborhoods. Finally, priests and therapists would like to think they know the secrets to a truly successful marriage, but according to NeighborhoodScout's research, the folks of the Upper Montclair neighborhood may actually hold the key. 67.2% of its residents are married, which is a higher percentage than is found in 96.7% of the neighborhoods in America. 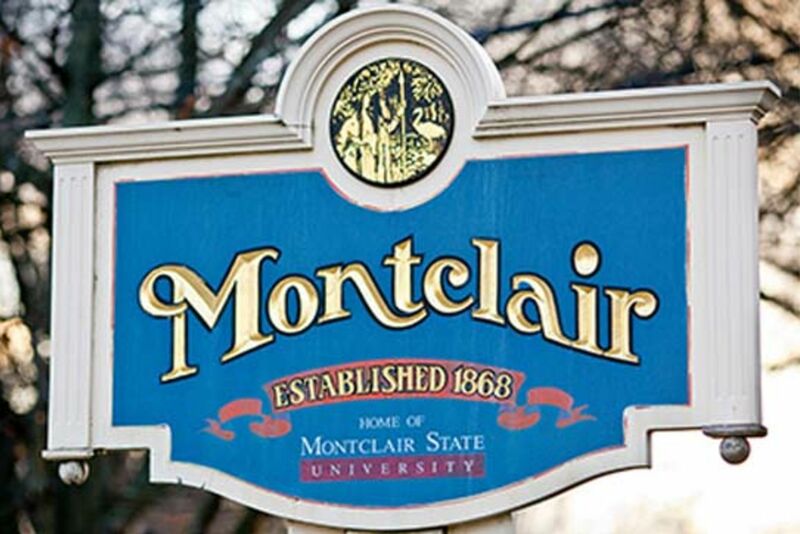 Did you know that the Upper Montclair neighborhood has more Eastern European and Greek ancestry people living in it than nearly any neighborhood in America? It's true! In fact, 3.5% of this neighborhood's residents have Eastern European ancestry and 3.0% have Greek ancestry. Upper Montclair is also pretty special linguistically. Significantly, 2.4% of its residents five years old and above primarily speak French at home. While this may seem like a small percentage, it is higher than 96.8% of the neighborhoods in America. Executives, managers and professionals make up 72.9% of the workforce in the Upper Montclair neighborhood which, according to NeighborhoodScout's exclusive analysis, is a higher proportion of such high-level people than is found in 98.8% of the neighborhoods in America. For this reason, this neighborhood really stands out as unique. Regardless of the means by which residents commute, this neighborhood has a length of commute that is notable. Long commutes can be brutal. They take time, money, and energy, leaving less of you for yourself and your family. The residents of the Upper Montclair neighborhood unfortunately have the distinction of having, on average, a longer commute than most any neighborhood in America. 10.1% of commuters here travel more than one hour just one-way to work. That is more than two hours per day. This percentage with two-hour + round-trip commutes is higher than NeighborhoodScout found in 97.4% of all neighborhoods in America. More people ride the bus in this neighborhood each day to get to work than 96.4% of U.S. neighborhoods. In addition, real estate in the Upper Montclair neighborhood is almost exclusively owner-occupied. NeighborhoodScout's analysis reveals that this neighborhood has a higher rate of owner-occupied housing than is found in 98.9% of U.S. neighborhoods. If you are seeking to rent, this neighborhood may not have many options, but high rates of ownership often indicate stability in a neighborhood. Furthermore, one way that the Upper Montclair neighborhood really stands out, is that it has more large 4, 5, or additional bedroom homes and real estate than 97.9% of the neighborhoods in America. When you walk or drive around this neighborhood, you'll instantly notice the size of the homes here which definitely makes a strong visual statement. The neighbors in the Upper Montclair neighborhood in Montclair are wealthy, making it among the 15% highest income neighborhoods in America. NeighborhoodScout's exclusive analysis reveals that this neighborhood has a higher income than 99.9% of the neighborhoods in America. In addition, 0.0% of the children seventeen and under living in this neighborhood are living below the federal poverty line, which is a lower rate of childhood poverty than is found in 99.9% of America's neighborhoods. In the Upper Montclair neighborhood, 72.9% of the working population is employed in executive, management, and professional occupations. The second most important occupational group in this neighborhood is sales and service jobs, from major sales accounts, to working in fast food restaurants, with 24.5% of the residents employed. In the Upper Montclair neighborhood in Montclair, NJ, residents most commonly identify their ethnicity or ancestry as Irish (22.9%). There are also a number of people of Italian ancestry (15.1%), and residents who report German roots (8.6%), and some of the residents are also of English ancestry (7.7%), along with some Russian ancestry residents (6.0%), among others. The most common language spoken in the Upper Montclair neighborhood is English, spoken by 91.9% of households. Some people also speak French (2.4%). GETTING TO WORK How you get to work – car, bus, train or other means – and how much of your day it takes to do so is a large quality of life and financial issue. Especially with gasoline prices rising and expected to continue doing so, the length and means of one's commute can be a financial burden. Some neighborhoods are physically located so that many residents have to drive in their own car, others are set up so many walk to work, or can take a train, bus, or bike. The greatest number of commuters in Upper Montclair neighborhood spend between 45 minutes and one hour commuting one-way to work (32.1% of working residents), longer and tougher than most commutes in America. Here most residents (63.2%) drive alone in a private automobile to get to work. In addition, quite a number also ride the bus to get to work (18.3%) and 12.0% of residents also take the train for their daily commute. In a neighborhood like this, as in most of the nation, many residents find owning a car useful for getting to work.